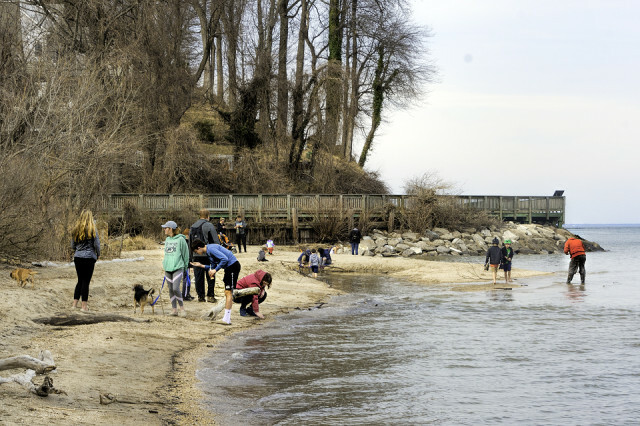 We stopped by Brownie Beach in Calvert County to find an Earthcache about shark's teeth. There were lots of fossil hunters out enjoying the warm dry day. I found a small shark's tooth fairly quickly. They come off of the eroded cliffs on the edge of the bay and date back to the Miocene Era.